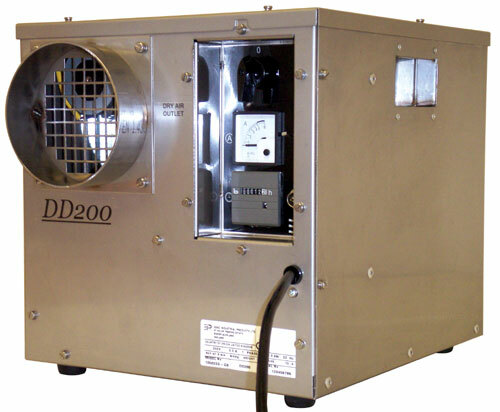 Manual / Automatic control is a standard feature within the DD range of desiccant dehumidifiers, and a remote humidistat can quickly and easily be connected for automatic operation and control The EIP range of DD desiccant dehumidifiers are all manufactured from a high grade stainless steel, ensuring a rust free product when used in the most sevrere of applications. The spigot connectors allow quick and easy installation All models incorporate a high efficiency patented PPS Rotor. This design incorporate a 82% active Silica Gel to ensure optimum performance over the equipments wide operating range of environments. All desiccant rotors supplied by EIPL are washable, and designed for high performance / long life.